Doordarshan Dth, Doordarshan's free direct-to-home (DTH) platform Freedish has gained Rs 24 crore at the 34th electronic auction as three channels bought slots at Rs 8 crore. This is the highest price ever paid by an announcer to get a slot in Freedish. 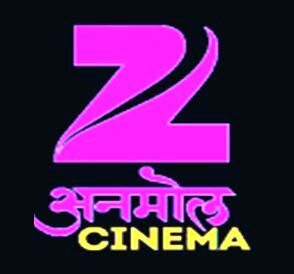 Sony Wah, Zee Anmol Cinema and 9X Jalwa bagged the three slots on free dish satellite. DD Freedish had set the floor price at Rs 8 crore despite not getting any bidder at that level in the last round of e-auction. The 34th electronic auction is a major development in free dish satellite as it showed that private satellite broadcasters are willing to cough up money to be on the free DTH platform despite being the highest reserve price set by the TV broadcasters. The growth of free to air channels (FTA) has come on the back of free dish network, both in terms of audience and growth in advertising revenue. At the new electronic auction, which was held on Tuesday, only non-news channels were allowed to participate. The previous booking price was Rs 4.8 crore for news as well as non-news channels. "At today's auction, Zee Anmol Cinema, Sony Wah and 9X Jalwa won slots at the highest price of Rs 8 crore," said DD DG Supriya Sahu. The highest previous record in Freedish was Rs 7.3 crore, which was paid for by Sony Pal. At the 27th electronic auction held on 30 May 2016, Zee Anmol Cinema, 9X Jalwa and Sony Wah had paid Rs 4.9 crore, Rs 4.6 crore and Rs 4.5 crore, respectively to get the slot on free dish network. The 34th electronic auction was held after the solitary slot vacant in the 33rd electronic auction was not sold after DD increased the reserve price. The empty slot was filled by adding DD India. Despite the mediocre response, Prasar Bharati decided to stick to the reserve price of Rs 8-crore, as he considered that dish free channels of free dish satellite offered broader reach to broadcasters than any other television distribution platform in the country. According to the FICCI-KPMG report, Freedish has an estimated subscriber base of 22 million, making it the largest TV distribution platform in India. Freedish raised revenues of Rs 275.4 crore in FY17 from the sale of 54 slots. In the previous fiscal year, the platform had gained Rs 180.34 crore. Keep visiting for the updates of dd free dish coming soon channel, DD free dish frequency 2016, dd free dish frequency 2017, dd free dish upcoming channel, DD free dish new channel add, DD free dish setting and dd free dish tv channel list.